Located in the small authentic village of Ferreries in the center of the island is the lovely boutique hotel of Ses Sucreres. 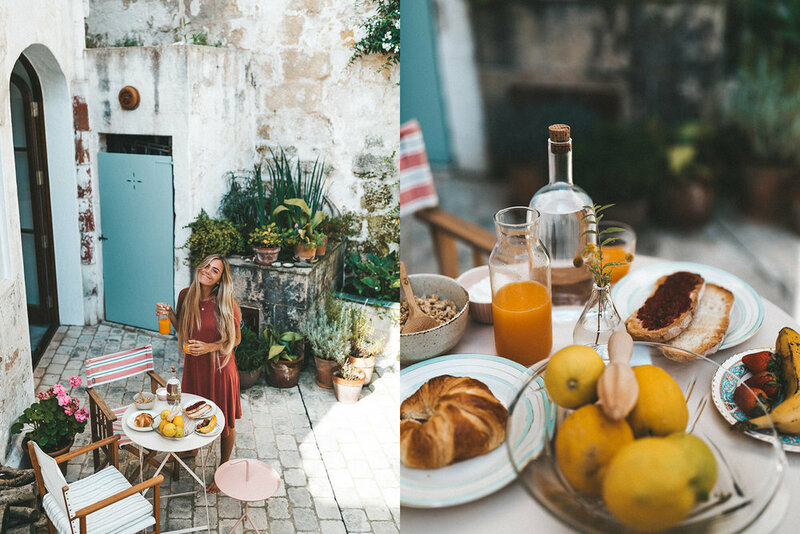 After falling in love with the building that dates back to 1844 on a trip to Menorca, the owners decided to renovate the home into an intimate 6 room hotel. The bougainvillea clad building is uniquely decorated with vintage and restored pieces with touches of art throughout. Being in a quiet village makes for restful sleeps and quiet mornings enjoying breakfast on the shared garden patio, listening to the local children playing on the cobblestone streets below. Its central location makes it the ideal base for exploring the attractions and stunning beaches, and returning to a quiet neighborhood to sample the best local tapas. There are six rooms at Ses Sucreres, 3 of them double rooms and the other 3 larger suites. All rooms have king-sized beds adorned with high-end linens and colorful throw pillows. The bright white rooms are an eclectic mix of vintage and contemporary pieces mixed in with splashes of color and beautiful photography. We loved the larger suites with comfortable sitting areas and views overlooking the enclosed garden patio. All rooms come with toiletries by Giura, an organic, eco-friendly company. An organic breakfast is included and guests can enjoy an honesty bar so they can drink something fresh at any time during the day. There is no restaurant, but guests can bring their dinner to enjoy on the outdoor patio. Closest airport is Mahon (MAH) 30km. Double rooms start at $110, Suites at $125. The lovely owners are more than happy to share their favorite places on the island, from stunning beaches, to quaint restaurants. 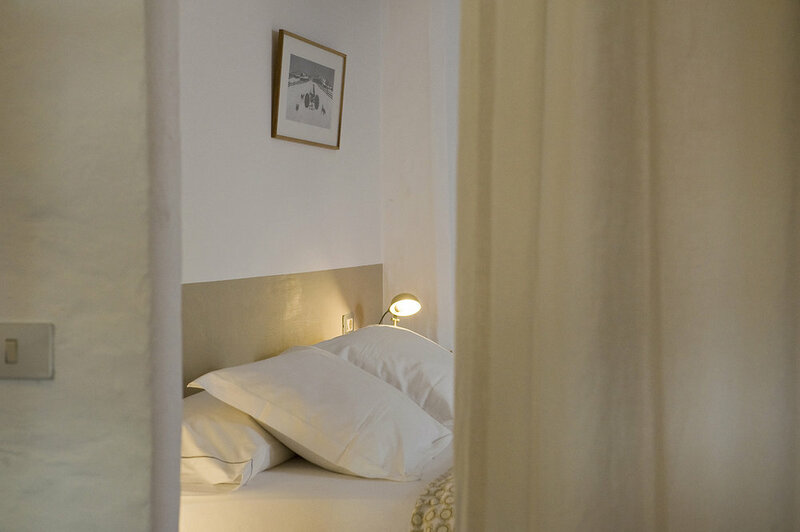 Located in the less touristy town of Ferreries, Hotel Ses Sucreres offers guests a chance to get away from the tourists and hub while still being within close walking distance to all the amazing sites, restaurants and activities on the Island. Boating trips are one of the many wonderful and sought after experiences for travelers! The serene waters and splendid views can’t be beaten. For those who wish to travel by foot there are many wonderful places to hike especially along the nearby coast and mountains. There are some great city options such as taking a stroll through the many historical churches and museums nearby. Check out the booming local art scene by visiting one of the many Island galleries or hit up the local markets for those one-of-a-kind treasures.